Ribbon microphones have traditionally delivered great results for guitar amp recording, but the Sontronics DELTA was the first and remains the only ribbon mic specifically designed to do that job. Based on our original SIGMA ribbon mic, the DELTA features a more rugged build and extra baffling inside the rectangular grille, plus a subtle presence peak around 2kHz to 4kHz in order flatter the ‘bite’ characteristic of the electric guitar sound. 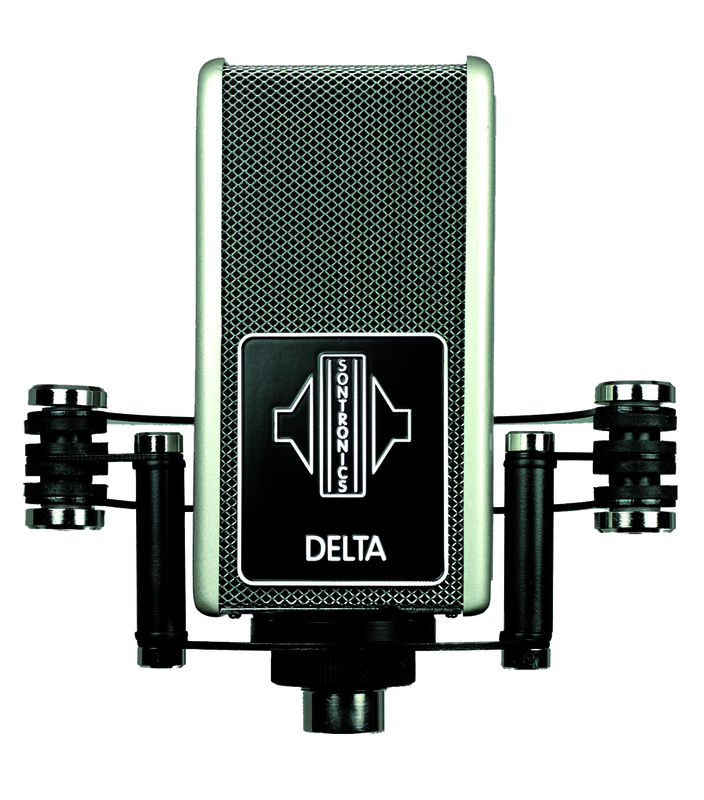 "DELTA is stunning… it's a fantastic-sounding mic. It sounded great, right in front of the speaker with no EQ. If it sounds good coming out of the amp, DELTA will translate that perfectly, in 3D clarity. " Where SIGMA found its place in the heart of the studio, DELTA's incredible capability in miking up amps, cabinets and brass instruments set it up to become a standard in live sound recording. Show it anything from subtle electro-acoustic finesse to shred-metal mayhem, from a trombone fanfare to a subtle sax solo and DELTA will cope with however much you throw at it, delivering world-class reproduction every time. "My DELTA is permanently in front of my Vox AC30. from my amps. I never need to EQ it!" DELTA's sonic footprint is tailored to sit the mic comfortably in a live mix while keeping its subject clear and present. DELTA's optimised sensitivity and 48V preamplified electronics deliver rock-solid audio consistency combined with incredibly low self-noise, almost unheard of (quite literally!) in a ribbon mic. Users tell us that the DELTA allows the sound of their guitar amps and the true tone of their guitar amp to sing, requiring zero EQ on the input and needing no adjustments in the mix either. And thanks to its bias towards the mid-range frequencies, DELTA makes an utterly ideal partner for brass instruments, giving astonishin,g unmatchable results on trumpet, trombone and horns as well as alto, tenor and baritone saxophone. In order to get the very best recordings with DELTA, check out our simple User Guide or, if you're looking for that natural, classic ribbon sound on more subtle, less powerful sound sources (vocal, woodwind and string instruments) try out our beautiful SIGMA ribbon microphone. with a retro flavour… the sound is so brilliantly rounded and it's so easy to use too"
Sontronics DELTA comes with Sontronics' unique, super-effective shockmount in a rugged aluminium flightcase. The DELTA, like all our mics, is protected by our LIFETIME WARRANTY and if for any reason your ribbon element becomes stretched or damaged in any way, we are always happy to arrange a replacement via your local Sontronics service centre or directly with us at Sontronics HQ in Poole, England. 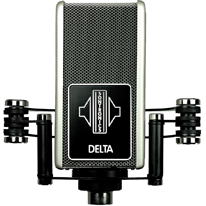 DELTA is without doubt the best-sounding ribbon mic you can put in front of your amp!